Formed by the Word of God, and nourished by the Sacraments, we the servant community of Our Lady Queen of Peace Catholic Church, blessed by our diversities, are bound in the Spirit by love, to reach out, respect, and embrace all people. Please note, there is no 5:00 pm Mass. 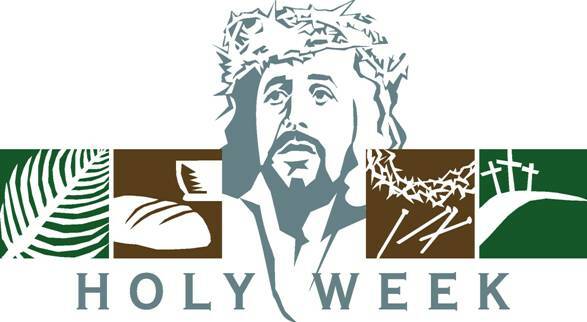 Fasting (to do without food) is to be observed on Ash Wednesday and Good Friday by all Catholics between the ages of 18 to 59 years (inclusive). On days of fasting, one full meal is allowed. Two smaller meals, sufficient to maintain strength, may be taken according to one’s needs, but together they should not equal another full meal. Eating between meals is not permitted, but liquids are allowed. Abstinence from eating meat is to be observed by all Catholics who are 14 years of age and older. All the Fridays of Lent, and Good Friday are days of abstinence. Note: If a person is unable to observe the above regulations due to ill health or other serious reasons, they are urged to practice other forms of self denial that are suitable to their condition. on Sunday. Please write 150 on the memo line of your check. Use the button to the left above for online giving. Thank you! Very often we make our life loveless. See how these Pharisees acted dragging this woman and making her stand in public. Where is mercy? Is not life of a person more important than law? God gave us law to help us repent on our mistakes and turn towards him and not to kill anyone. Is there anyone among us who is not a sinner? If we are all sinners, then why do we desire to punish others rather than showing mercy? Why do we go away from what God intents? Before going further let me share with you a few thoughts that flashed through my mind: ‘what is sin?’ What definition do you give to sin? How can I speak about sin to someone who is self-righteous? It is amazing how Jesus dealt with these Pharisees who had a ‘holier-than- thou-attitude’. They came to trap Jesus. But a simple question; they had to leave the site, dropping the stones, one by one. When they picked up stones to throw at her, they believed they were righteous. But sooner they realized they were sinners and were not holier than the woman whom they brought to be killed. Suddenly the scenario changed. The so-called guardians of ‘holiness and moral law’ who held up their heads and marched in, walked out lowering their heads under the weight of their own guilt. They left the scene shamefully. But the woman waited to give her burden to the Lord and to receive mercy from him. There must be an awareness of sin in our life. If there is no moral conscience, one cannot identify the seed of sin from its multi shades. Sin is, our betrayal of God; it’s our betrayal of our brother/sister or anyone or anything. Sin is me betraying myself. Sin is my act of infidelity and my act against truth. In other words, sin is my refusal to move towards God who is the Truth. Let us look at our own sins. Never carry the burden of your sin by yourself; give, give it to God. God loves to carry it for you. Closeness to God will make the spark of holiness in us glow brighter. God loves us even in our sins. The woman stood before Jesus with a choice; either go back to the same sin or move towards a new way of life. Whenever Jesus confronts us, his mercy gives us the challenge to make a decision about our own personal life. God’s mercy leaves us to make a choice; either to go back to the old way of life or choose a new life. Remember, the woman who was dragged in defeated? She walked out a winner. Her accusers, who walked in as winners, walked out losers. Both were given equal choices- either to go back to the old way of life or choose a new life. The woman who chose a new life received forgiveness from God, but the accusers who chose their old way of life walked away guilty. Ironically both were in the presence of God but ‘one was taken and the other was thrown out’. The choice you make is your life here and after. Do you want to live guilty the rest of your life or want to live free as children of God? As I reflect on God’s mercy in the wee hours of this morning, I see myself all alone, face to face with my Lord, like the woman who was dragged in into his presence. Now, only me and my Lord, face to face. How holy is this moment! Lord, I eagerly wait to hear you speak the words you spoke to the woman: ‘Neither do I condemn you…’ Bless me Lord, that I may not sin any more. Amen. Muy a menudo hacemos nuestra vida sin amor. Vea como estos Fariseos actuaban arrastrando a esta mujer y haciéndola que se parara en público. ¿Dónde está la misericordia? ¿No es la vida de una persona más importante que la ley? Dios nos dio la ley para que nos ayudara arrepentirnos de nuestros errores y que nos volviéramos hacia él y no matar a nadie. ¿Hay alguien entre nosotros que no es un pecador? Si somos todos pecadores, entonces ¿porque deseamos castigar a otras personas en lugar de mostrar misericordia? ¿Por qué nos alejamos de la intención de Dios? Antes de seguir, permítanme compartir con ustedes algunos pensamientos que vienen a mi mente: ¿Qué es el pecado? ¿Qué definición le da usted al pecado? ¿Cómo le puedo hablar sobre el pecado a alguien que es arrogante? Es increíble como Jesús trató con estos Fariseos que tenían una actitud ‘más santa-que-tu’. Ellos vinieron atrapar a Jesús. Pero con solo una simple pregunta; ellos tuvieron que salir del sitio, dejando caer las piedras, una por una. Cuando ellos tomaron las piedras para arrojarlas contra ella; ellos creyeron que eran justos. Pero lo pronto que se dieron cuenta que ellos eran pecadores y no más santos que la mujer que llevaron a matar. De repente el escenario cambio. Los llamados guardianes de la “ley de santidad y moral” que sostenían sus cabezas y marcharon adentro, salieron con sus cabezas bajas del peso de su propia culpa. Ellos dejaron la escena vergonzosamente. Pero la mujer esperó para dar su carga al Señor y para recibir Su misericordia. Debe haber una consciencia de pecado en nuestra vida. Si no hay consciencia moral, uno no puede identificar la semilla del pecado de sus multitudes matices. El pecado es, nuestra traición a Dios; es nuestra traición a nuestros hermanos/hermanas o a cualquier persona o cosa. El pecado es yo traicionándome a mí mismo. El pecado es mi acto de infidelidad y mi acto contra la verdad. En otras palabras, el pecado es mi rechazo a moverme hacia Dios que es la Verdad. Fijémonos a nuestros propios pecados. Nunca cargue la carga de su pecado por sí mismo, déselo a Dios. Dios quiere cárgalos para usted. Cercanía a Dios hará la chispa de santidad en nosotros resplandecer más brillante. Dios nos quiere aun en nuestros pecados. La mujer estaba parada delante de Jesús con una elección, volver al mismo pecado o moverse a una nueva forma de vida. Cada vez que Jesús nos enfrenta, Su misericordia nos da el reto de decidir sobre nuestra propia vida personal. La misericordia de Dios nos deja para escoger, volver a la manera vieja de vida o escoger una nueva vida. ¿Recuerde la mujer que fue arrastrada en derrota? Ella salió ganadora. Sus acusadores, que entraron como ganadores, salieron perdedores. Ambos recibieron iguales opciones – volver a la manera vieja de la vida o elegir una nueva vida. La mujer que escogió una nueva vida recibió el perdón de Dios, pero sus acusadores que escogieron su manera vieja de vivir salieron fuera culpables. Irónicamente, ambos estaban en la presencia de Dios, pero ‘uno fue escogido y los otros fueron lanzados hacia fuera’. La elección que usted coja es su vida aquí y después. ¿Quiere usted vivir culpable el resto de su vida o quiere usted vivir libre como hijo de Dios? Al reflexionar en la misericordia de Dios en las altas horas de esta mañana, me veo solo, cara a cara con mi Señor, como la mujer que fue arrastrada a su presencia. Ahora, solo yo y mi Señor, cara a cara. ¡Como de Santo es este momento! Señor, ansiosamente espero oírte hablar las palabras que Tu hablaste a la mujer: ‘Tampoco yo te condeno…’ Bendíceme Señor, que yo no peque más. Amen. Saturday 11:00AM to Noon and 3:00 -4:00 pm. You may schedule an appointment. 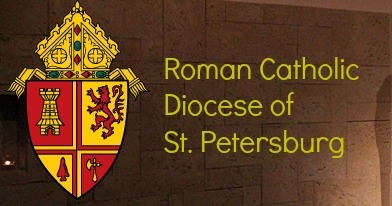 We warmly welcome all of you to the first Catholic church in West Pasco County. Together with “Our Blessed Mother” we gather at the Table of her Son, Jesus to get nourished and to proclaim His message of love in words and deeds. We invite you to be a part of our loving Community being present at our Eucharistic celebrations and other events. Every First Friday at 5.00 p.m. is our Family Dinner Time in the Parish Hall. We gather to know one another and to build up new friendships. This year we started the St. Lorenzo 5 Star Breakfast Buffet. Dates are published in the bulletin. You must try it as it is the "best in town". Please visit this magnificent Church adorned with colorful stained glass entrance doors, windows, Carillon Tower, Stations of the Cross and the Doves of Peace; stay here in solitude to get blessings upon you and your family through the intercession of Our Blessed Mother. We look forward to seeing you! May God bless you. Viewing Tip: *For those needing larger text, please hold the CTRL key down and click on "+" key. For smaller, CTRL and "-" key. Use the Command key on an Apple computer.